Weekly Market Analysis: November 24th to 27th 2015 - Find the best Binary Options Brokers, Binary Options Bonuses, Binary Options Signals, Binary Options Software and everything Binary Options related on Binary Options Directory! 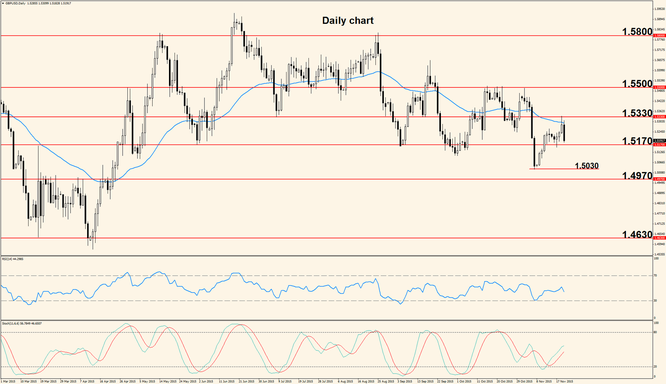 Weekly Analysis: The pair just completed another bearish week, with price closing lower than it started; however the question whether the Fed will or will not raise rates this year still creates a lot of speculation and back and forth movement. After a brief retracement to the upside, the bears made another attempt to break 1.0660 support and they’ve managed to close the week below it. It seems the US Dollar has regained control but we have to pay attention to the Stochastic and the Relative Strength Index because both have spent a lot of time near their respective oversold levels and this is a warning sign that a retracement higher will soon follow. We may see another drop before a pullback but be careful with shorts this week. The week ahead is slow in terms of economic announcements, with the first event being the release of the French and German Manufacturing PMIs, Monday morning. Tuesday the German IFO Business Climate survey comes out but the more important release is the Preliminary version of the U.S. Gross Domestic Product, which as we know is the most important gauge of overall economic performance. Later in the day a U.S. Consumer Confidence survey comes out but the impact is often low if the actual figure matches analysts’ forecast. Wednesday’s most important event is the release of the U.S. Durable Goods Orders (goods with a life expectancy of at least 3 years) and Thursday the United States celebrate Thanksgiving Day so banks will be closed and volatility might be irregular. This effect is likely to extend through Friday when no major indicators are released by either the U.S. or Europe. The Pound was weakened by disappointing data released last week and erased all gains accumulated previously, but support was not broken. The latest impulse is bearish and strong rejection was seen at 1.5330. 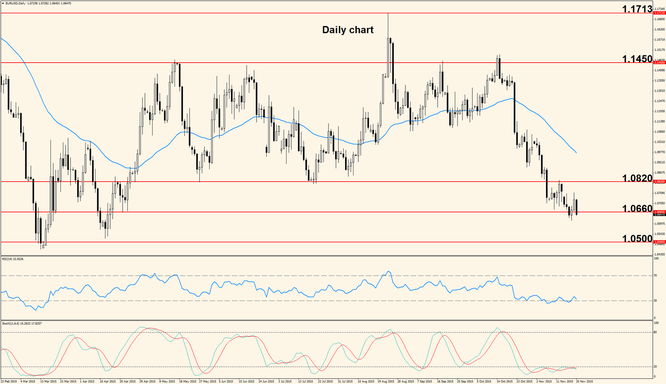 This move confirmed that 1.5330 is good resistance and opened the door for a break of 1.5200 – 1.5170 support zone. A break would mean a major victory for the bears because this support is key for medium term direction so we anticipate further downside price action once 1.5170 is clearly broken. After that, the first target is 1.5030 where we expect a bullish bounce. As an alternate scenario, a break of 1.5330 will make 1.5500 the first target. The United Kingdom will only release one major economic indicator this week: the Second Estimate Gross Domestic Product, scheduled Friday. The rest of the week only low impact indicators are released, so we expect a period when the US Events and the technical aspect will dictate direction.